One thing my family loves is grilling out. 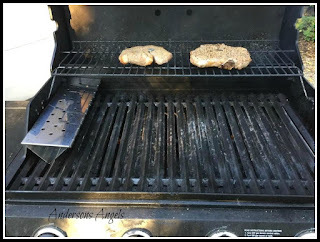 We love throwing steak, burgers and hot dogs on the grill for a quick and yummy dinner. We love the smokey flavor of meats we get when out at restaurants but was unsure how to achieve the same great flavor at home. 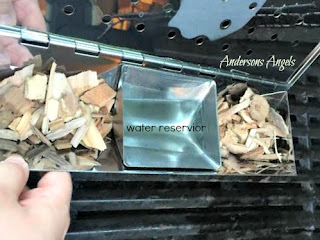 I recently received the Cave tools V-Shaped Smoker Box for Mr. Anderson to review. I must say that he was very happy when he opened the smoke to see a smoker for his grill. This smoker has quickly become one of Mr. Anderson's favorite grilling tools. With it being the start of fall the woods chips are on sale at most stores. So we have picked up a couple different types to try out. We got apple and hickory chips to try with the smoker. So far we have only used the apple and I have to say that I loved the flavor it added to our steaks. We really like that this smoker box is made with 25% stronger stainless steel then most boxes which keeps it from warping due to the heat. It has a hinged lid for easy access so you can easily add more wood chips if you need to while cooking. There is a removable water reservoir which allows you to control how much smoke you get. The smoker box fits between the flavorizer bars on the grill. This box has a longer length for the larger grills. The cave tools V Shaped Smoker Box comes with a Lifetime Satisfaction Guarantee. So if at anytime you are unhappy with your smoker you can return it for a full money back refund. I do not know many companies who stand behind their products like cave tools does anymore. We have several cave tool products and love them all. They are durable and made with quality products to last. If you have a grill lover in your house then I would defiantly recommend picking up this smoker box for them! 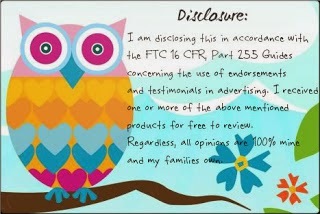 I have a great Amazon Coupon for you as well to receive 15% off !! We've never used a smoke flavor before but we've always wanted to. Hubby would love this! Yum! This would take small home grilling to the next level! 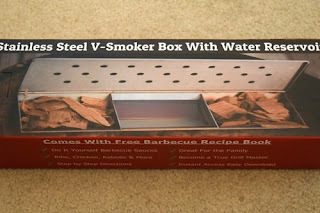 I have always wanted to try smoking my own meat and the V-Shaped Smoker Box sounds like the way to go!